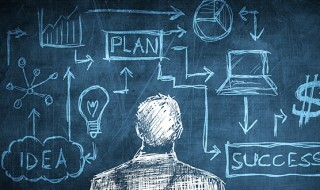 Becoming an intrapreneur isn’t something people typically fall into. If you want it to happen, you’re going to have to get out there and make it happen. And to do that, you’ll need a plan. Item number one on your list is to master your job. This is actually a two-parter. First, become an expert in your current role. Second, you’ll need to hit certain milestones if you want to pull this off. The first one is being at your job long enough for you to learn your role and feel that you could teach everything you do to another person. You need to prove your worth and demonstrate that you can handle the responsibilities you were hired to do. You’ll also want to build in enough time on the job to make your boss look like a rock star and gain his trust before you venture outside your role. Otherwise, you’re going to have a really tough time getting him to buy into and support your ideas (and to support you in your desire to expand your role in the company). In my experience, it usually takes six months to get to this point. Of course, if you can do it in less time, great! But don’t rush things. It’s better to take a little more time than to try to make a move when you’re really not ready. Throughout this process — and throughout your entire career — it’s important to think in terms of how you can best leverage your strengths and weaknesses to help your company succeed. What are some things your company does really well? What does it do less well? What should it be doing to improve? How can your strengths and intrapreneurship goals get your company where it needs to go? With that in the back of your mind, you’ll be better able to articulate to your manager how your intrapreneurial idea will benefit the company. You’ll also need to be able to clearly define your objectives and metrics. In other words, what does success look like and how can you measure it? Be absolutely sure that your project aligns with the corporation’s mission and values. If you want your company to support your idea, you’ll need heavy hitters behind you. Start with your manager. Sit down with them and talk about the potential opportunity you see. They’ve worked at the company longer than you have and they know the path to making a project successful, including how to assemble a team and how to get decision makers to buy in. Have a presentation that describes the opportunity, how it benefits your company, and what resources you’ll need to execute (people, materials, funding). Once your manager is solidly backing you, ask for their help in lining up a senior executive or major decision-maker inside your company to put his or her name on the project. That will help you get the resources you’ll need to give you the greatest chance of succeeding. Remember, this is your project, and you want to be the center of attention, right? But don’t try to do everything — you’re going to need help. In addition, trying to do it all makes you seem either like you can’t get others to work with you, you can’t delegate, or you’re trying to hog all the glory. Instead, surround yourself with people who have skills you don’t but who can make your idea even better. Look for people who are passionate about the idea you want to develop. Some will come from inside your organization, but others may come from outside. Optimism and self-confidence are great qualities for intrapreneurs and entrepreneurs alike. But they can easily turn into naïveté if you don’t have a backup plan. Having a great idea, a great team, strong backing, and deep resources significantly increase your chances of success. But even with all that, sometimes things don’t work out the way you’d hoped. Life can be awfully unpredictable, and it doesn’t pay to be overconfident. There are too many factors beyond your control, such as your company’s health, management changes, and corporate mergers. So you’ll want to have a backup plan — at the very least so you can salvage the work you’ve done and have something to show for it. Not having a contingency plan is just plain foolish (and it’ll be interpreted by people you’re trying to turn into allies as amateurish and immature). You also want to have a contingency plan because intrapreneurship, just like entrepreneurship (and everything else in life, for that matter) is risky. You could get laid off tomorrow. You could get hit by a bus on the way into the office. Likewise, there’s no guarantee of success in business — most ideas fail. Taking risks is what builds successful careers. Those who don’t, get stuck (in fact, I’d argue that not taking risks at work will be more harmful to your career than failure, because your company needs new ideas in order to grow. So if you’re holding back on proposing a new internal business opportunity, don’t. And keep in mind that you could benefit even if your project doesn’t get funded. Two final things and then we’ll move on. First: As you go through the process, check in with your team to learn what’s working and what isn’t, what you’d need to do to improve. How could you prevent mistakes in the future and repeat your success? Intrapreneurship is all about experimenting/testing ideas, measuring the results, and improving on them. It can sometimes take a few tries to figure out whether or not something is right for your company. Finally, as soon as your project is up and running, start thinking about your next one and what kinds of people, backing, and resources you’ll need to build it out. 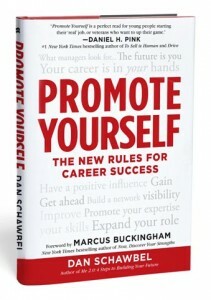 This post is an excerpt adapted from the author’s book, Promote Yourself: The New Rules for Career Success. Dan Schawbel is a Gen Y career and workplace expert, the Founder of Millennial Branding and the author of the new book, Promote Yourself: The New Rules For Career Success (St. Martin’s Press). He made the Inc. Magazine 30 Under 30 in 2010 and the Forbes Magazine 30 Under 30 in 2012.